A major survey is being launched across The Lake District to gauge opinion on a charitable donation scheme using contactless debit and credit card machines, in addition to the more traditional coin-slot collection boxes. 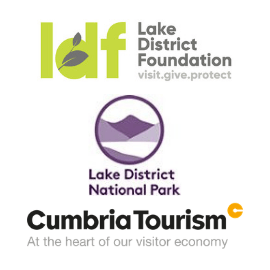 Along with its partners the Lake District National Park (LDNP) and Cumbria Tourism, the Lake District Foundation (LDF) is asking for views on whether such a system would be beneficial to its fundraising efforts. The LDF raises money through donations before distributing to projects which care for local landscapes. The proposal is to help people who wish to donate money for local projects to do so – under no pressure; and even if they don’t have any coins on them. The survey will also ask about people’s donor habits, the kind of projects they’d like to donate to and the kind of messages participants think should feature on the donation points themselves to maximise their intended effect. Following the survey, the LDF hopes a test scheme may begin in the summer – hopes echoed by the Lake District National Park. Managing Director of Cumbria Tourism, Gill Haigh, says, “Together with the Lake District Foundation and Lake District National Park, we’re really excited to be part of this project exploring new fundraising territory by looking at how technology can make donating to worthy causes as simple as possible. The survey was sent out to subscribers to Cumbria Tourism’s mailing lists in mid-November and is also available online here.